The move comes from a recent announcement that Google enabled the ability to display emojis in their desktop search results, apparently emojis appeared on mobile results for a couple years before Google’s recent decision to bring it to the laptop SERPs (something I wasn’t aware of). But are emojis good for SEO? Since it was announced by Google, it obviously isn’t a problem for SEO. You’re not going to get any direct bump in SEO, but the indirect impact from potentially more users clicking on your listing will improve engagement, thus improving your SEO. Expedia became the most well-known company to try out emojis in their organic search title tags. The idea was that adding relevant emojis, such as  or , at the beginning of their listings would improve their click through rates. It’s not a stretch in logic seeing as it’s well-known that paid search results with images tend to yield a a higher CTR than ads with just plain text. So why wouldn’t that be true for non-paid listings? I rarely click on paid ads in search results with or without images, but when it came to “natural” listings, an image would certainly catch my eye over a listing without. Are Your Emojis “On Brand”? Though emojis may capture attention and garner more eyeballs, they may not generate the right type of attention that the company intends. If you’re considering using emoticon/icons in your title tags, I would strongly recommend that you deeply understand your product and brand. 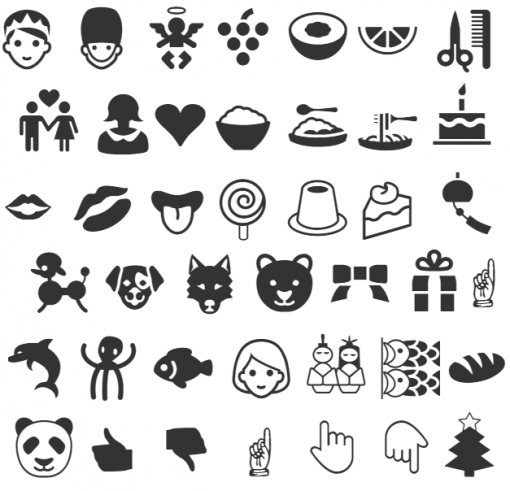 Even if emojis increase your CTR, is it worth the emoji being associated with your brand? I’m sure Expedia considered their brand when weighing in on the whether a “reclining airplane seat” or “hotel bed” aligned with how the company wanted consumers to think of their brand. Expedia chose their emojis wisely; selecting inanimate objects that looked like monopoly game pieces. The  and  have no emotion and no colors (when placed in a title tag), just mini image icons that visually represent what the company offers and have no brand impact. We all want more clicks to our site, but if you’re a business that has placed a significant amount of resource behind your products and logo, ensure that whichever emojis you select that they don’t undermine your brand.